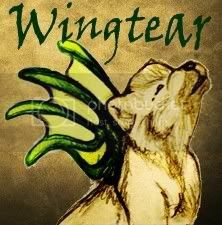 Wingtear Hang in there, you can beat it. Kicking the meds is a pretty big step and I wish you all the success known to man. Aww, clubbing. You never know, you might just have a nice laugh. Mrs.C1901 I like how the Saga has no age limit either. It did sorta bother me when I always saw the crazy younger fans getting the credit only because I began to think there were very few fans my age to relate to. But low and behold, this thread! I got my mom to start up the Saga even though she was strongly opposed to reading a "12 years old and up" book. Hook, line and sinker! She called me one night to yell at me for not leaving New Moon at the house so she could continue on. "SM left me hanging!" Q: Who's your favorite vampire? Edward Cullen or Bill Compton? btw what is your avi?? is that your tattoo or something? Yes, that's the lowest part of my back-tattoo. The green dragon shown in the scroll I have in the front. I also have 2 snowflakes behind my left ear, each symbolizing a child dominant in my life. ome i love it. I have the Japanese symbol for strength on my left wrist and i have three stars on my right wrist that symbolizes three people that passed away that were very close to me. I never post here-- i wonder why! lily! 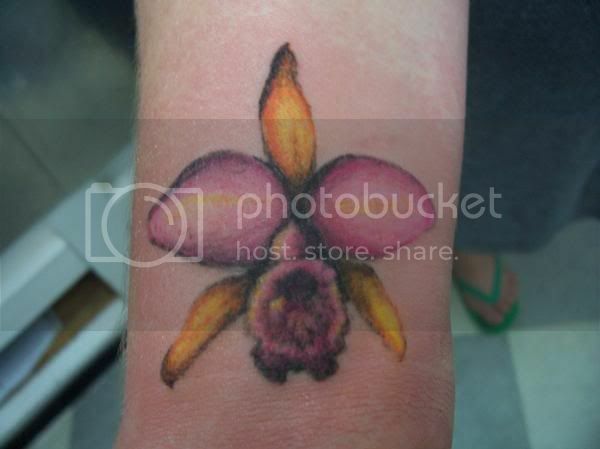 i have a Japanese Symbol on my right left shoulder blade for Truth- it was my first of many tattoos well i only have two.. an Orchid on my wrist. but i plan to get more. I see Ninna in here too.. hope you are doing better! Oh.. i figure you all are old enough. ---->> skips back to randomness. All you tattooed... go to the body art thread and show them! I only wrote about mine, I think I'll go there myself and post some pictures! I have the Japanese symbol for love on my chest! 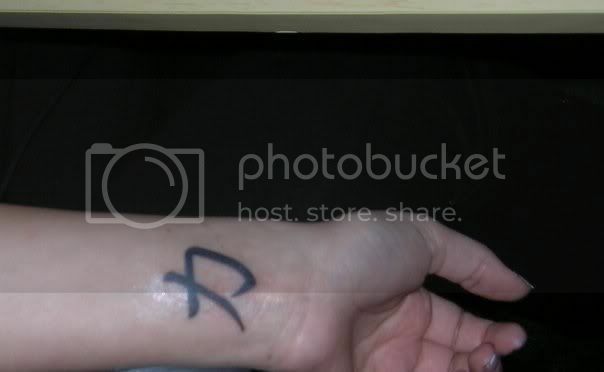 It was my first tattoo and I think someday when I have a surplus of money I will get it covered with something else "love" themed. I love orchids and have always wanted a bright, colorful orchid backpiece. Show us some pictures, Lynz! Please? that is my orchid! i wanted it to look like a colored pencil drawing.. i love it. 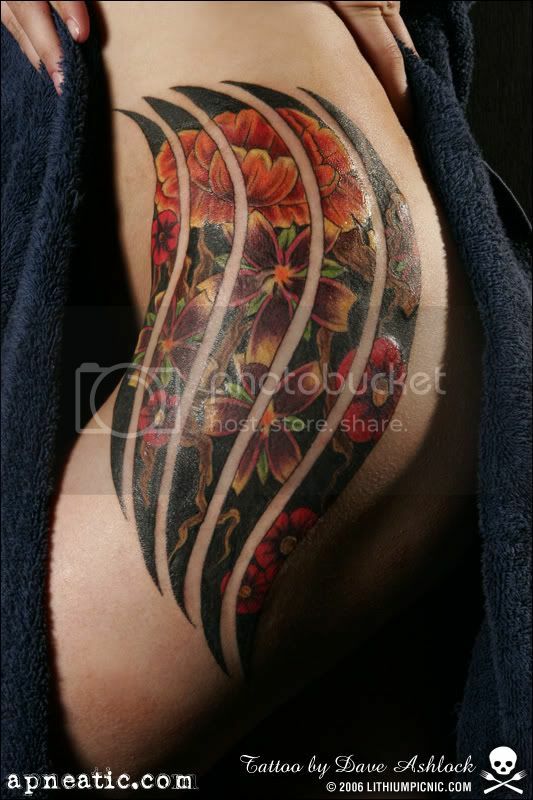 On my other shoulder blade.. but change up the flowers some. i like the design. i was afraid to venture out of the twilight world-- but i am so glad i did! i've read 3 books in a week.. No joke. they are GOOD.